"The Happy Prince and Other Tales" (sometimes called The Happy Prince and Other Stories) is a collection of stories for children by Oscar Wilde first published in May 1888. It contains five stories: "The Happy Prince", "The Nightingale and the Rose", "The Selfish Giant", "The Devoted Friend", and "The Remarkable Rocket". Welcome to a special edition of a renowned classic. 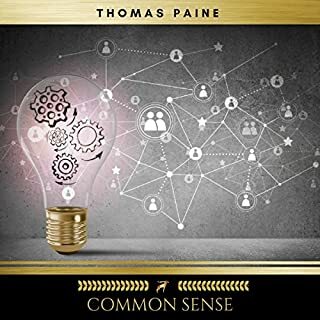 This classic, difficult-to-find text has been reprinted using a print-on-demand service to provide you with an updated version of the text, at the best value possible! LA Theatre Works is a unique and rich source of live performances. Their audio productions are recorded in front of a live audience, which provides two benefits, especially in a wonderfully silly play like this: you can laugh along with other (real) people, and the actors are unlikely to drop their voices to a whisper. It's not quite the same as seeing the play on stage, but it's closer than listening to a studio production. You trade a small measure of verisimilitude in the sound for a large measure of communal laughter. There's not much to say about the play itself. It's a puff of air, a totally ridiculous situation where the farce is embodied in a rapid exchange of one-liners rather than in pratfalls. Wilde's brilliant language sparkles throughout. 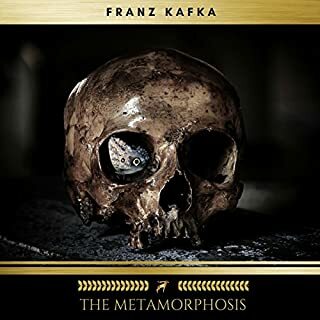 I listened to the other recordings of this play available on Audible, and while one of them in particular features a more stellar cast, they lack the energizing effect of hearing the responses of other people to the same lines that made me chuckle. Yes, it sounds "stagey" at times, but that's why I liked it! This recording also includes an interview with the director. A wonderful production of a great play! I found it impossible not to laugh out loud while listening to this witty comedy of manners. I've seen the play many times, but have never seen a production more enjoyable than listening to this performance. Bravo! I was actually unsure whether to buy this or not, as I was worried that, being recorded at a real theatrical performance, the lack of any kind of description of the scenes and actions would make it difficult to follow, and consequently render it less enjoyable. I had no reason to worry. The quality of the sound is very good, and the actors are really great, so you can recognize the different characters with no problem. And fortunately the conversations alone let you easily understand where the action is taking place and what is happening. I won't even try to review the story, it's just too great (and witty, and silly, and funny, and brilliant, and a lot of other similar adjectives) for words. The quality of the sound is very good. The actors impersonate the various characters perfectly, and hearing this play actually acted out is infinitely better than just reading it (after all, this is the way it was meant to be enjoyed). I already knew the story well (it's one of my favorite books) but hearing it this way still made me laugh out loud!!! I like to listen to audios while I work, on my headphones. My co-workers keeped giving me curious looks because I couldn't help but laugh out loud. Short but funny. I would listen to again and recommend to friends and family. It was great 100 years ago, and its great now. I love this play more every time I read/see/hear it. The acting in this version is spot on. This was very enjoyable. I bought it so that I could share my love of this play with a friend while on a road trip. She loved it. I love this play. The cast of this version was commendable, but not great. Plenty talented enough however, to make this a fun listen. The voices of the ensemble were for the most part, sufficiently distinct to follow the dialogue, though Marsters who played Ernest/Jack and the actor who played Algernon were a bit similar. It helped to be familiar with the play. What I say is whenever one has the chance to listen to or watch this silly and wonderful piece of satire, one should take it. I love this cast of actors! I could totally see the play happening in my imagination; what a well-done piece of drama. I can't wait to play this for my students to show them how entertaining drama, even older pieces of drama, can be! 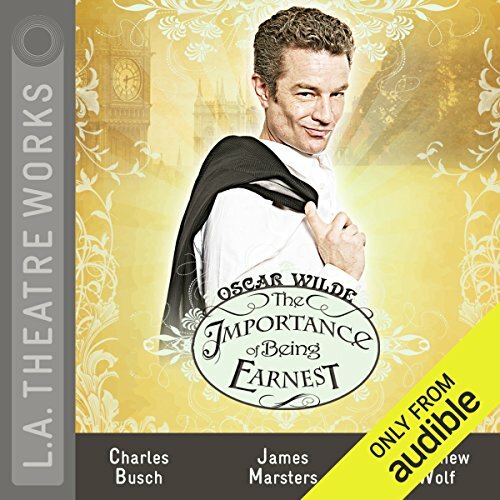 Where does The Importance of Being Earnest (Dramatized) rank among all the audiobooks you’ve listened to so far? 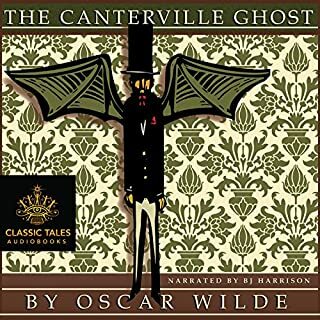 Very high on the funny list of audiobooks I've listened to. The scene in Jack's garden with the two brothers eating muffins kept getting funnier as it went along. I was crying so hard I had to pause twice to get a Kleenex. This play reminds me so much of not only Monty Python, but the banter between the brothers, Niles and Fraiser Crane. This is one of my favorite works by Oscar Wilde. I have seen the old and newer movies and read it. Listening to this dramatization was an awesome experience. The players were spot on! I could see what was happening as I was listening. Would suggest this to anyone!! This play has been brilliantly adapted as an Audio piece. 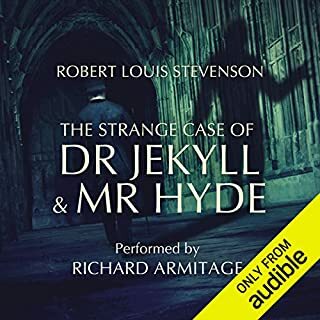 Previous reviews have remarked that this is a recording of the theatrical play, this is incorrect, while it was recorded in front of a live audience it was directed more inline with a Radio play, this allows the listener to be more connected to the play, hearing others laugh when they laugh. 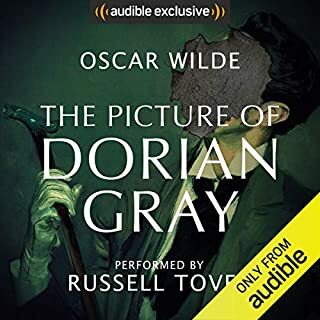 There are additional lines for the characters to help set scenes or describe character actions in order for the listener to appreciate Wilde's vision. 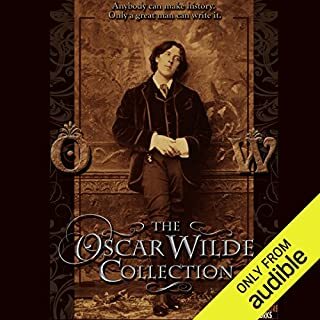 The quick satirical wit of Oscar Wilde is wonderfully portrayed by the actors, as a brit I did have some concerns about the accents before purchasing, but these were completely unfounded. This is a fantastic piece of work from the LA Theatre Works.